Lithium-ion batteries are the most used rechargeable batteries in the world. If you’ve owned a smartphone or laptop for more than two years and use the gadgets frequently, then you’ve most likely noticed, to your exasperation, how short the battery life is compared to when the product was first shipped. Rechargeable batteries have been around for more than 100 years, but it’s only recently that scientists are beginning to understand what forces degrade batteries from cycle to cycle. Identifying these forces is the first step in designing truly long-lasting batteries, helping curve rare earth minerals and toxic elements demand, cutting costs and quite possibly aid electric vehicles on their quest of becoming mainstream. The researchers at the U.S. Department of Energy have worked specifically with lithium-ion batteries, the most widely used batteries today because of their light weight and high energy capacity. They mapped the charge and discharge process down to billionths of a meter to better understand exactly how degradation works, and have discovered two main culprits. Structural vulnerabilities. Because the battery’s material is structural imperfect, lithium ions can haphazardly travel through the cell. This erodes the battery much like rust would still, further amplifying this effect. Nano-scale crystal accumulation. In the second part of their experiments, the researchers tried to find the best balance between voltage, storage capacity and maximum charge cycles to see which option might cause less degradation of battery life. Again, their initial findings regarding ion flow were confirmed. Additionally, however, they also found that nano-scale crystals leftover from chemical reactions in each cycle can disrupt ion flow. Running batteries at higher voltages also led to more ion path irregularities, and thus a more rapidly deteriorating battery. 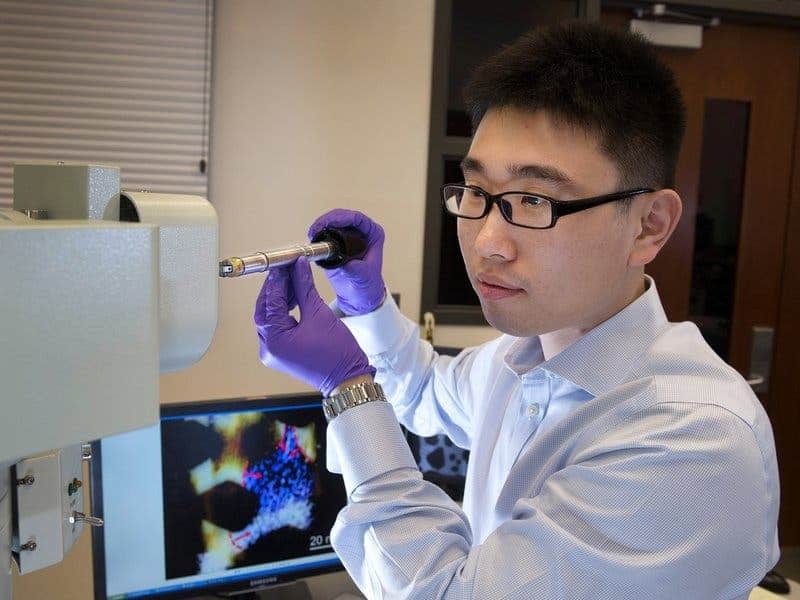 The team was led by Huolin Xin, a materials scientist at Brookhaven Lab and coauthor on both studies. He claims that it’s only been recently that scientists have gained access to the necessary tools, like aberration-corrected electron microscopes and new synchrotron X-ray techniques, that allow them study battery degradation in close detail. The scientists’ findings could help manufacturers devise much better batteries with longer life cycles. Those most to benefit would be electric car manufacturers, whose buyers are often concerned that their car battery will fail them soon after the warranty expires. Electric car batteries have gone a long way in terms of energy density, and lifetime is the next big challenge manufacturers need to address if EVs are to rise above early adopters and hit the mainstream. Daniel Abraham, a scientist focused on lithium-ion battery research at the Argonne National Laboratory outside Chicago, told the Smithsonian that he is skeptical of these most recent findings. He claims that battery degradation depends on more factors than those outlined in the study.